In interview with Germany's Der Spiegel, Israeli defense minister hints Israel could target Iranian scientists to halt nuclear program. Israeli Defense Minister Moshe Ya'alon has hinted Israel could resume assassinating Iranian nuclear scientists if Iran's march to a nuclear weapon continues. 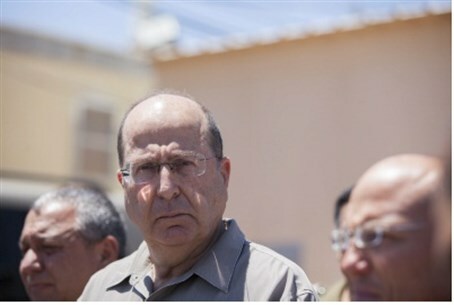 "Ultimately it is very clear, one way or another, Iran’s military nuclear program must be stopped," Ya’alon stated in an interview with Germany's Der Spiegel daily. Israel, along with many of its Arab neighbors, is concerned the deal recently reached between Iran and world powers amounts to a capitulation towards Tehran, and all but guarantees the Islamic Republic will gain nuclear weapons. Ya'alon declared that Israel would not be willing to accept such a scenario, under any circumstances. "We will act in any way and are not willing to tolerate a nuclear-armed Iran. We prefer that this be done by means of sanctions, but in the end, Israel should be able to defend itself," he told the German daily. Comparing the Iran deal to attempts by western Allies to appease Nazi Germany prior to World War Two, Ya'alon said historians would view the agreement as a "historic mistake" and a mere attempt to "kick the can down the road." And in what appeared to be a subtle threat, Ya'alon added that Israel "bore no responsibility for the lives of Iranian nuclear scientists," in what appeared to be a subtle threat. Israel is believed to be behind a series of assassinations of at least 5 top Iranian scientists involved in Iran's covert nuclear weapons program, though it has never commented on the allegations. Most of the scientists were reportedly killed by unknown assassins placing "sticky bombs" on their cars, sometimes in audacious daylight operations. But those assassinations - along with other covert operations including cyber attacks against Iran - have petered out in recent years, with the last known attack occurring in 2013. The halt in assassinations is believed to be a result both of direct American pressure on Israel to stop them, as well as other western states' pivot towards detente with Tehran and away cooperating with Israel on such operations. Ya'alon also hinted Israel could also consider airstrikes against Iranian nuclear weapons facilities as a last resort. Analysts have long debated the viability of a unilateral Israeli strike, with many assuming such a strike to be impossible without US cooperation. The interview follows reports that Iran is already busily "sanitizing" its Parchin military complex to hide evidence of nuclear weapons development from nuclear inspections.